I absolutely ADORE the way it came out and I can't wait to get a batch of these printed up and handed out. I think they are just too cute. 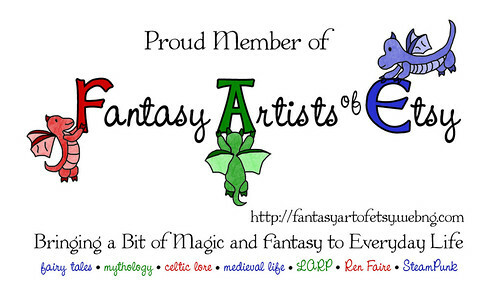 ^_^ Members of FAE are welcome to contact me for more information on a group order of cards or on getting the cards customized with your email or shop addy. It really did come out great! Thanks for offering up the design to the group, too.